On Wednesday 25th February, Collis came 3rd out of 32 teams in the High 5 Year 6 Richmond Borough Netball Tournament. Collis got off to a flying start by beating Hampton Hill 4-1. Things only progressed from here for Collis, as they went on to win their next two games, to subsequently top their group. This then narrowed them down to the last 16 teams in the borough and playing for the cup. Louisa Jones, Emma Bridge and Thomas Hawk showed great levels of skill and determination in the opening games and indeed throughout the tournament. The next game was not as easy as our previous encounters. After a hard-fought game, we secured a draw against St. Elizabeth’s. This soon followed with a convincing 3-1 win against Sheen Mount. With the opportunity of reaching the semi-final at our finger tips, Collis knew that a win against Hampton Hill would lead us to qualify for the semi-finals and top our group. As a result of fast, accurate passes from defence and a combination of Noah Horn and Abigail Avery’s fantastic teamwork upfront an unbelievable 10 goals were scored in just 6 minutes! This then qualified us for the semi-final against Newland House. Collis continued to play with the same vigour and skill as they had in previous games but unfortunately lost out with a respectable score of 4-11. Well done to all the boys and girls involved! 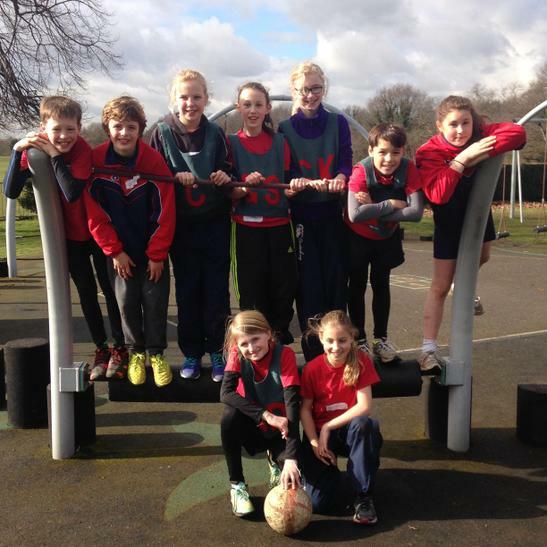 Year 6 Netball Team: Abigail Avery, Louisa Jones, Emma Bridge, Izzy Dexter, Lydia Fowler, Hermine Narnio , Noah Horn, Oscar Fillingham and Thomas Hawk.